Imagine if you are planning a meeting at a 400-room hotel or resort. Your client has tasked you with creating a positive corporate social responsibility (CSR) experience for the event, and you really want to impress with global impact. The solution may be found in a simple bar of soap. Clean the World, an Orlando, Fla.-based social enterprise and largest global recycler of hotel amenities, collects, recycles and distributes hospitality industry soaps and bottled amenities to help stop the spread of preventable diseases worldwide. And the reason is simple: Soap saves lives. Each day 9,000 children around the world die from diseases such as acute respiratory illness and diarrheal diseases that can be prevented by washing with bar soap. The hospitality industry wastes more than one million bars of soap each day in the United States alone. Clean the World has a mission to place recycled soaps in the hands of people who need it most to improve hygiene and sanitation conditions worldwide. The Don CeSar Hotel, St. Pete Beach, Fla.
Clean the Word also offers meeting professionals an easy way to earn CSR credits while truly helping save lives. While your group is in town, housekeepers will collect gently used soaps and bottled amenities from their guest rooms. Once the meeting or event concludes, the hotel will send the collected amenities to Clean the World. The items will be sanitized, rebatched into new soap bars and distributed within 60 days to children and families in need around the world. Your group gets CSR credit for helping Clean the World simply by participating in the meeting planner program. Loews Miami Beach Hotel, located in the heart of South Beach, is a participant in the Clean the World hospitality partnership program. Guests there have provided more than four tons (6,102 lbs.) of soap and two tons (4,826 lbs.) of bottled amenities since joining the program. That effort places 32,544 soap bars in the hands of children who would otherwise go without. 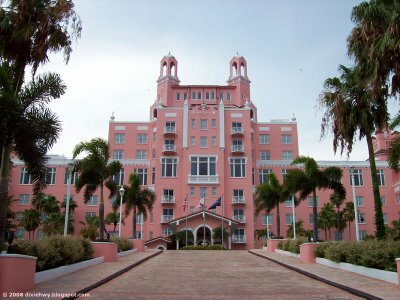 Another Loews property, the luxurious Don CeSar Hotel in St. Pete Beach, Fla., has collected 1,216 lbs. of soap and 1,434 lbs. of shampoos, conditioners, body washes, lotions and gels – nearly 6,500 soap bars and 15,300 bottled amenities to stop the spread of disease. Clean the World has more than 1,300 hospitality partners throughout North America, which represents more than 280,000 guest rooms. In just three years Clean the World has collected, recycled and distributed 10 million bars of soap to children and families in the United States, Canada and more than 45 countries. If you are interested in joining the Clean the World Meeting Planner Program, please contact Bethanne Doud at bdoud@ctw2.wpstagecoach.com.